Preheat the oven to 500°. 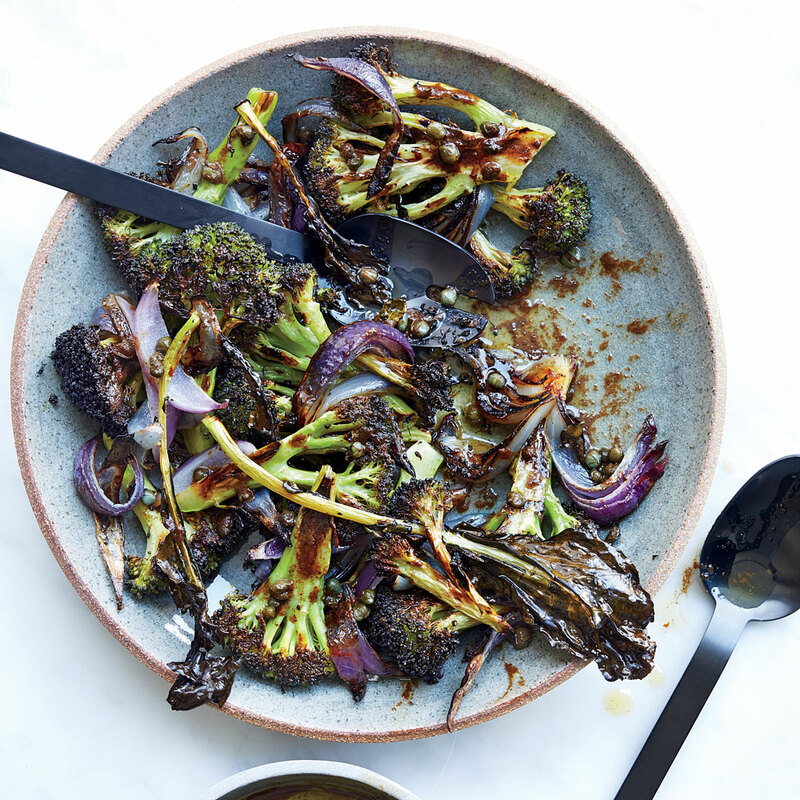 On a rimmed baking sheet, toss the broccoli and red onion with the olive oil. Spread in an even layer, and season lightly with salt and pepper. Bake, without tossing, until the broccoli is just knife-tender and browned, about 20 minutes. Transfer to a platter. Meanwhile, in a small skillet, melt the butter. Cook over moderate heat, stirring occasionally, until the butter browns and smells nutty, about 6 minutes. Remove the skillet from the heat, and stir in the capers and fish sauce. Drizzle the brown butter sauce over the vegetables, and serve.